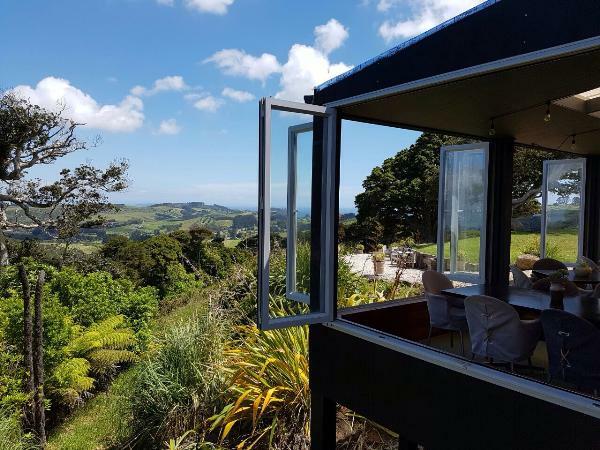 At Thomas's Bach enjoy spectacular views from Coromandel to the Sky Tower. Syrah, Chardonnay, Blanc de Gris, Pinot Gris, Flora, and Batch Winery’s sparkling Fizz wines, the perfect wine match for summer celebrations, special occasions & family times. Enjoy our relaxed atmosphere to dine with friends and family, groups from two to sixty two!